Inergy Market is a dream come true for its owners as well as for health-conscious South Brunswick residents. When you believe in your dream and your vision, then it begins to attract its own resources. – Myles Munroe. 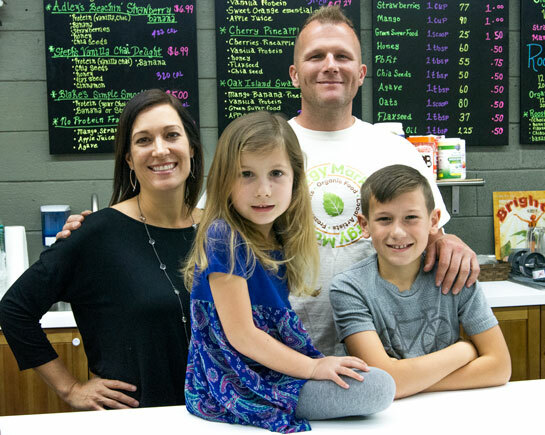 For more than three years, former Charlotte residents Stephanie and Shawn Lynch dreamt of living near the beach with their two children, Blake and Adley, and owning their own store. Their clean eating lifestyle turned into a vision they wanted to share with others, and Stephanie’s uncle, Mark Gulledge of Oak Island, became the resource they needed to pull it all together. Take a step inside Inergy Market in Oak Island and you will see their dream and vision turned reality. Shawn is originally from Montcalm, West Virginia, and moved to Charlotte, North Carolina, in his early twenties. While in Charlotte, he worked for Duke Power’s McGuire Nuclear Station and ran a lawn care business, Ground Patrol, which he still owns today and operates on Oak Island. Stephanie is a Charlotte native who worked for a cosmetic surgeon and then became a stay-at-home mom to their two children. It took a village of family and friends to bring the empty building that is now Inergy Market to life. The building sat empty for quite some time and needed a complete remodel. “My uncle provided us the space, which was all we needed to take that leap of faith to start our own business,” Stephanie says. Shawn remodeled the interior of the building, adding shelves and storage units that would house the many products. Friends designed the logo, the sign that hangs above their front door and some of the woodwork inside the building. 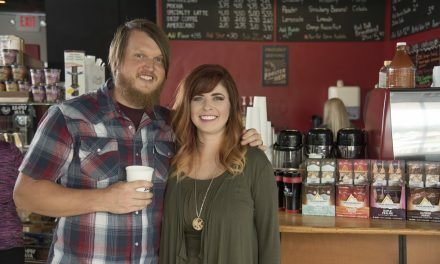 The Lynches offer products that have become a mainstay of their lifestyle, but they also listen to their customers and order products they request. Shelves are lined with organic protein powders, protein bars, superfood popcorns, locally made snack bars, essential oils and local art. They offer products from Garden of Life, (organic and non-GMO project verified protein powders and protein bars), Sunfood Superfoods (quality food from farmers around the world) and Living Intentions (foods made from clean, vibrant ingredients). They also sell herbal teas, Gaia herbs, salad dressings from Annie’s Naturals, vinegars from Bragg, coconut oils, dried fruits and snacks. 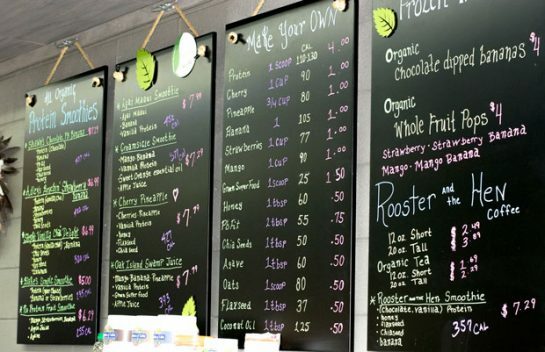 Customers can also step up to the bar and choose from a long list of ingredients to design their own organic smoothie or pick from one of the menu items, like the Creamsicle Smoothie, Steph’s Vanilla Chai Delight or even the Oak Island Swamp Juice. Or they can pick up a cup of Jumpin’ Java’s Rooster and the Hen coffee, a locally roasted coffee from Shallotte. Rocking chairs on the front porch are the perfect place to enjoy homemade, organic, chocolate-dipped bananas or whole fruit pops with flavors like strawberry banana or mango banana. While the main portion of the market is dedicated to nourishing the body, there are also items from local artists that will nourish the soul. Some of these include Neo Snack Bars (made with organic real food ingredients), Tekkel Designs (custom designed pieces with laser etching), True Views Photography (greeting cards), Lativia, Accents & Art (jewelry from organic elements), Our Mom’s Best (homemade pepper jellies and relishes), Joe’s Mom’s Travel Snacks (gourmet snacks with less processed sugar and preservatives) and Mama’s Secret (an all-natural line of skincare products) along with many other products and artworks made by artists from Southport, Oak Island and Wilmington. Their vision for the future is to offer fresh fruits and vegetables from local farmers, local honey, alternative cheeses and possibly pre-packaged food from local suppliers. 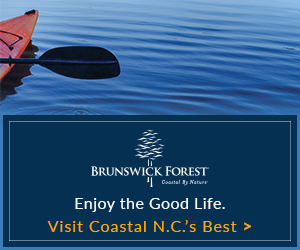 If their past record of hard work, dreams and visions is any indication, the Lynches have already shown Oak Island how to overcome challenges and have a balanced life. Stop by, pick up a smoothie or fruit pop, sit a spell in the rocking chairs and find your own balance. It will be worth the trip. Want to visit Inergy Market?